Past and present collide in Lee Martin’s highly anticipated novel of a man, his brother, and the dark secret that both connects and divides them. 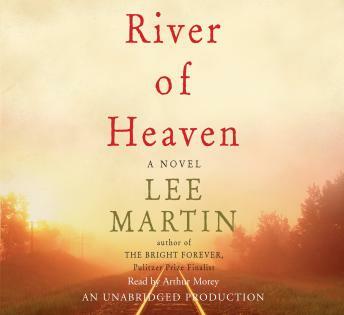 Haunting and beautifully wrought, River of Heaven weaves a story of love and loss, confession and redemption, and the mystery buried with a boy named Dewey Finn. River of Heaven begins some fifty years later and centers on the story of Dewey’s boyhood friend Sam Brady, whose solitary adult life is much formed by what really went on in the days leading up to that evening at the tracks. It’s a story he’d do anything to keep from telling, but when his brother, Cal, returns to Mt. Gilead after decades of self-exile, it threatens to come to the surface. A Pulitzer Prize finalist for The Bright Forever, Lee Martin masterfully conveys, with a voice that is at once distinct and lyrical, one man’s struggle to come to terms with the outcome of his life. Powerful and captivating, River of Heaven is about the high cost of living a lie, the chains that bind us to our past, and the obligations we have to those we love.